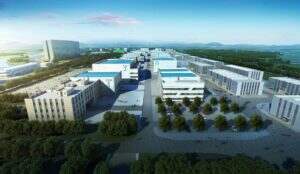 Chatsworth,December 14, 2016 –Xytech’s MediaPulse, the industry-leading facility management platform for media and broadcast companies, has been selected by Wanda Studios, Qingdao to help define and manage operations from the ground up at the $8.2-billion-dollar addition to the company’s entertainment hub, the Movie Metropolis. The initial installation of MediaPulse is now live and full deployment is anticipated by the completion of the studio in the coming months. MediaPulse will manage all operations from budget to execution through financial reconciliation for the soundstages, production workshops, office spaces and other services offered by the studio. The solution also includes the implementation of MediaPulse Rental to manage the business and track equipment with integration to a RFID tagging system. Wanda Studios spans over 400 acres in a northern region between Beijing and Shanghai. The complex will offer an array of facilities for film and television production, with a gross floor area of 58 million square feet, 30 soundstages including the largest soundstage in the world at 10,000 square meters/107,600 square feet, 24 production workshops, tenant office space, backlots with permanently constructed sets, and two large water tanks. The studio is one of the most technologically advanced production environments in the world, supporting every facet of production for a rapidly growing base of global creative clients.